NAGOYA TAURUS is produced by the engineer who designed the effect pedal for Steve Vai and Paul Gilbert. Utilizing his experience working with many top artists from LA, we offer the highest quality and services at a reasonable price. Customers can organize events such as concerts, dance events, DJ events, fashion shows, live comedy shows, private parties, etc. NAGOYA TAURUS is also available for charity events. 20% of all drink sales will be donated to the organizer's charity, as well. JUL. Open Mic "Just ! One Song Show" is going to start from July. The Third Wednesday every month. The stage is open for your one performance. Any genle, any levels, solo, group, any kind of performances are OK.
JUN. Jam session "TGIF! HARD ROCK NIGHT" is going to start from June. The Third friday every month. 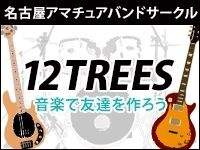 SEP. Drummer's session "DRUMSHED" is going to start from September 3rd. The first friday every month. We will set two or three drum kits so that drummers can play together. FEB. 13th 2015 starts T, FUNK SESSION on the second Fryday every month. Host : Miguel Arroyo. MAY 14. 2014 Now accepting bands to perform in NAGOYA TAURUS 5th anniversary show "ABSOLUTE-ZERO" on June 28th SAT. No ticket sales quota, No Participation fee, No charge for audience, ALL FREE !! From July 2014, The schedule of OPEN SESSION NIGHT has changed to the 5th, 10th, 15th, 20th, 25th, 30th nights every month (except saturdays and holidays).